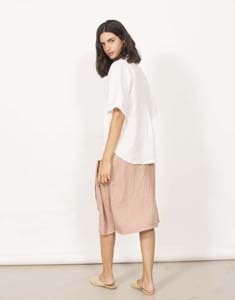 Linen blouse with plastron front pockets. Round neckline with front opening with invisible buttons and short wide sleeve. Sales only available in the European Union.